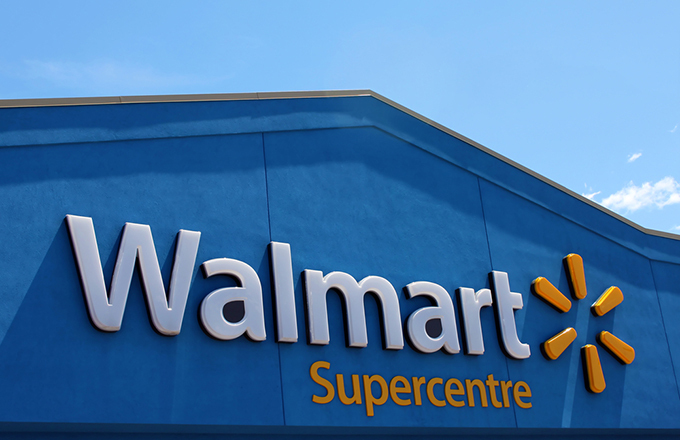 Retail giant and component of the Dow Jones Industrial Average Walmart Inc. (WMT) was a strong momentum stock as 2018 began, but that dynamic turned on a dime after the stock set its all-time intraday high of $109.98 on Jan. 29. At this high, Walmart stock was in an “inflating parabolic bubble” with a weekly stochastic reading above 90 on a scale of 0 to 100. This bubble popped as the stock crashed into bear market territory, where it remains today. 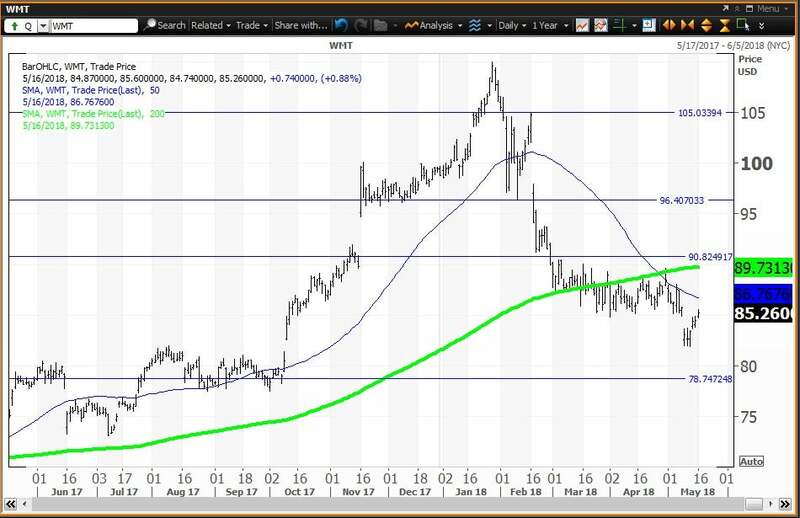 Walmart had been above a “golden cross” between April 21, 2017, when the stock closed at $74.94, and April 26, 2018, when the stock closed at $87.94. Then, a “death cross” formed. A “golden cross” forms when the 50-day simple moving average rises above the 200-day simple moving average and indicates that higher prices lie ahead. A “death cross” forms when the 50-day simple moving average falls below the 200-day simple moving average and indicates that lower prices lie ahead. The daily chart for Walmart shows the stock below the “death cross” described above. The stock is below my quarterly risky level of $90.91, which is the horizontal line above the “death cross.” My semiannual value level at $78.75 is the lower horizontal line, and my annual pivot is $96.41. 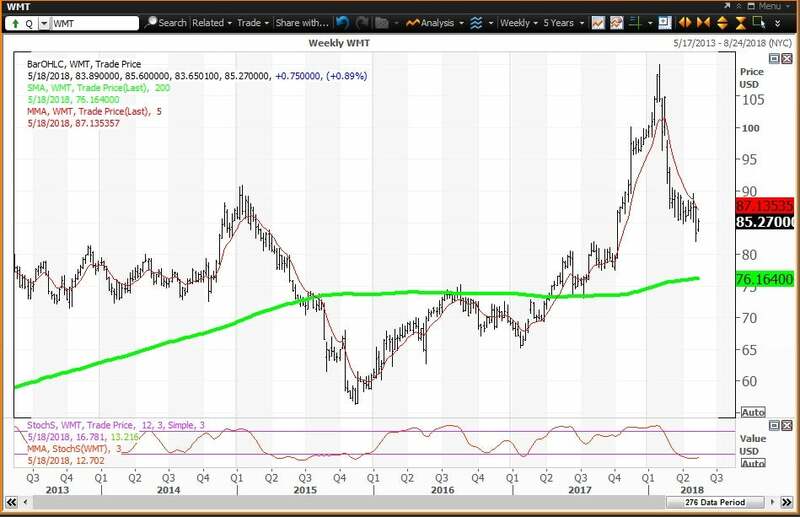 The weekly chart for Walmart is negative but oversold, with stock the below its five-week modified moving average of $87.19. The stock is above its 200-week simple moving average, also known as the “reversion to the mean,” now at $76.17, which was last tested during the week of July 14, 2017, when the average was $73.34. The 12 x 3 x 3 weekly slow stochastic reading is projected to end the week at 12.95, well below the oversold threshold of 20.00. 0 responses on "Walmart Reports Oversold and Below 'Death Cross'"